The place name "Carronhill" is used in later Gracie letters as the place of residence of older members of the family. Amongst other places, various census records show family members living at Low Carronhill (1841, 1851 and 1861), and Carronbridge (1881). Newspaper death notices mention Carronhill (1828, 1857). In the case of George (d.1828), the gravestone says he died at Carronbridge while the death notice says Carronhill. In the case of his son James (William of Liverpool's father) (d.1857), the gravestone says Carronhill as does the newspaper. Although I have assumed that Carronhill is the probable residence of these and later Gracies is quite likely that Carronhill could have been used as a term for the general area that covers all three places that lie within about half a mile of each other. Commencing with the birth of George on February 24, 1734 in the parish of Morton the lineage of Rosemary�s ancestors can be traced with reasonable certainty; George is her fourth great-grandfather. His date of birth is based on the obituary written in the Dumfries Weekly Journal at the time of his death and the year is confirmed by his gravestone. James wrote that this great-grandfather "remembered the passage of the Pretenders highlanders through the country on their retreat from England to their final defeat at Culloden, their ragged and starved condition and the way they plundered the country people" however in the same letter he listed George as born in 1735. George would have been eleven years old when the forces of Bonnie Prince Charlie retreated through Dumfries and up the Nith Valley in late December of 1745. George married Margaret HOLIDAY in 1770 and had six children, their second son James who was born in 1772 lived on in Carronhill, married Jean Patterson in 1798 and they in turn also had six children. Two of their sons left Scotland to seek their own fortune. The elder of the two, George born in 1801, went to Brazil in about 1826 and founded the Brazilian branch of the Gracies while the other, William born in 1804, went to Liverpool, ENG in about 1828 where he married Mary Dickson. The first son of William was James born in 1832. James was the first born of William GRACIE and Mary DICKSON the birth occurring on September 5, 1832 at their house at 40 Great Homer Street in the Liverpool suburb of Everton. After completion of his schooling James became an apprentice tea merchant and this is how he was described in the 1851 census; at the time he was living with the rest of the family in Wilton Street much nearer the heart of the city. It is probable that his apprenticeship was being served in the family business but something must have upset him as a year later he decided to leave England for Australia. James travelled to Port Phillip aboard the CONDOR as an Intermediate Class passenger, age 20, occupation Clerk and he was noted as "English". What James did after his arrival at Melbourne in 1853 or how he went to Sydney where he started his own business is not known. But four years later when living in Sydney he decided to marry. James had chosen for his wife Eliza Hannah WILLIAMS and they were married January 24, 1857 at Christchurch St. Lawrence. They would have thirteen children, their third child and second son Arthur was born December 14, 1861. Arthur lived in a succession of houses, including �Carronhill Cottage�, as his parents moved around Sydney until he joined the NSW Public Works Department in 1877 where he was immediately employed as a Field Cadet (Surveyor). Some many years later he met Louisa Mary McMULLEN the daughter of John McMULLEN and Harriet BARROW; this was the Irish connection. How long they knew each other is not known but they were married on September 10, 1895 at Taringa, Brisbane where Louisa lived. After the marriage Arthur returned with his bride to Glen Innes where they remained until he was moved to Bourke as Road Superintendent in 1897. They set up house in Richard Street where Louisa would give birth to two sons. Louisa was probably born July 14, 1862 in Dublin. She lost her father when she was only five years old and lived with her widowed mother and the rest of the family in Dublin for another seventeen years. In 1885 she came to Australia with her mother Harriett aboard the DUKE OF ARGYLL. Harriett and Louisa were classed as Remittance passengers; their fare having been paid by "FA" Harriett's only son who had arrived 18 months earlier. Ten years later she married Arthur GRACIE. Edward BROOM was Rosemary�s great grandfather. He was christened on December 25, 1831. The Parish Church Records for Nailsea give the date 25 December 1831 for the baptism of Edward son of Jacob and Mary BROWN. As this is a transcription I believe that this could have been BROOM in the original. Jacob's occupation is given as labourer as it is in the entry for his brother Uriah two years later; on this occasion the surname Broom is correct. On January 9, 1855 Edward, a collier and Ann JONES (the daughter of William JONES and Charlotte REDGERS), a spinster, were married in Holy Trinity Church, Nailsea, Somerset; their respective ages were given as 23 and 21. Their first child, William was born on November 27, 1855 at Nailsea. Edward and Ann must have already been aware of the possibilities of emigration as Edward�s Uncle Robert who was only nineteen years his senior had already taken his family to America in 1848 and immigration schemes to Australia were being promoted. Since as early as 1854 the coal mining companies in the Hunter Valley of New South Wales had been having difficulty in maintaining a reliable work force. Convicts had been tried without success and the gold-fields of Victoria and western New South Wales were irresistible to many of their workers. The British government on behalf of the Colony had initiated a scheme to assist immigration and the coal companies, the largest being the Australian Agricultural Company, joined with the government to recruit immigrants from the mining areas of England and Wales to come to the Newcastle coal mines. On Monday about forty men and women left Nailsea and the adjoining parish of Backwell for Australia. The men were principally miners and agricultural labourers and are sent out at Government expense, from Liverpool. On the Sunday afternoon previously, the emigrants attended Divine Service at Nailsea and the Rector, the Rev. F. Brown, preached an appropriate and affecting sermon. There was not a dry eye in the church and the following day the neighbourhood was a scene of wailing for the loss of so many of its inhabitants. It appears that they joined the ALFRED in Liverpool on April 19, 1857 and arrived in Sydney on 23 July 1857. The travellers soon boarded a coastal vessel for Newcastle where Edward and Ann Broom settled in the suburb of Hamilton with their two children. The first child born in Australia was Charles who died shortly after his birth in 1859. A second daughter, Matilda was born on August 16, 1860 at Hamilton; she died in Hamilton on December 23, 1935. Joseph was born at Hamilton in 1862 and as has been said lived there throughout his life. In about 1864 the family name appears for the first time as BROOME. when the birth of Charles Edward on October 20, 1864 was registered at Pit Town, Newcastle. It was Charles Edward who would eventually marry Ellen ROBSON to connect the Elliotts, Robsons and Broomes who, in the next generation, would connect with the Gracies. John ELLIOTT was the third son of William ELLIOTT and Mary ROBSON and was baptised on April 10, 1796. John and Martha SADLER (the daughter of William SADLER and Margaret BLYTH) were married February 15, 1824 at Newcastle-upon-Tyne and shortly after, on March 18, 1824, their first child, a daughter Margaret was born. This early birth of their first child Margaret probably caused hostility in Martha's parents and resulted in John's signing a seven year indenture with Thomas Potter Macqueen to come to Australia as a blacksmith. Margaret was seven months old when they sailed from Gravesend on the HUGH CRAWFORD early in November 1823. Thomas Potter Macqueen MP had been granted 20,000 acres of land in the Hunter River district of NSW and had set about acquiring people, stock, equipment and stores and the means to transport them from England to Australia. His ship was the HUGH CRAWFORD. Built by the Americans as a privateer, the "Hugh Crawford" of 420 tons was reputed to be one of the fastest sailing vessels in the world. Thomas Potter Macqueen claimed that his original investment in this venture was the largest by an individual that had left England up to that time. His land grant was the largest individual in NSW and his estate, "Segenhoe" was the greatest to be formed at once by a single proprietor. The voyage started from London and lasted from November 1824 until April 3, 1825 when the ship arrived a Sydney; Macqueen was also travelling in the ship.The enterprise was then delayed in Sydney for five months and it was not until September that they sailed from Port Jackson for Hunter's River and then over a week before they reached "Segenhoe". Here John and Martha lived during the period of his indenture however Martha was the only one of the three women to remain at "Segenhoe" more than two years. For seven years she maintained a haven of charity and gentle dignity in a hut on that remote estate where grace shone strangely in uncouth surroundings. No bushranger would harm her, and wild aboriginal tribes knew and respected her name. John Elliott had been provided by runaway convicts from �Segenhoe� with the secret code of the bushrangers and he rode in the valley as the courier of the estate with privilege, being allowed to pass by all the fraternity who respected the code. Five of Martha's babies were born and baptised at �Segenhoe�. The first was William born on March 1, 1826; he was said to be the first white child born in the Upper Hunter and was the definitely the first baptised there on 25 June. She then went on to have a further ten children however it was her first born, Margaret who would eventually connect to the GRACIEs. The indentures of the "Hugh Crawford" men remaining at Segenhoe expired in 1832. About the middle of the year John Elliott took his family to Maitland where he obviously did well as by the census of 1841 he owned a property called "Wyabah" and had a total of 19 persons in his establishment including 13 men over 21 years of age; by now Margaret was aged 17. How she met her first husband is not known. Thomas WISEMAN a "Wholesale and Retail Clothier and General Outfitter" had arrived in Australia in January 1841 and immediately commenced business in Pitt Street, Sydney. Within six months of his arrival he had met and married Margaret Elliott at East Maitland; Margaret was barely seventeen years of age and Thomas twenty; they set up house in Clarence Street, Sydney. Thomas' business ventures do not appear to have been successful and by 1847 he was working for David Jones and Co.; he had however produced four children. Unfortunately in 1849 he decided to chance his luck on the gold fields of California leaving Margaret behind; she and the family moved back to Maitland to live with her parents. Here his luck ran out and he died there in about 1851, reputedly of snake bite and fever. Margaret was now a 27 year old widow with four young children the eldest being nine years old. Within three years she would remarry. William was born February 25, 1817 at Wallsend, Newcastle-upon-Tyne. Nothing is known of his early life until he married Ann VEITCH on September 10, 1836. Of Ann nothing is known and even her birth is assumed at about April 27, 1817; she seems to have been called Annie and sometimes Anna. William, Annie and the two year old Margaret made their way to Plymouth where, in late August or the first days of September, they boarded the ship EMERALD ISLE bound for Australia. The voyage lasted for 111 days and they arrived in Sydney on Thursday December 23 1841. Anne ROBSON give birth to a male child during the voyage on September 11, 1841. This child would later be baptised Matthew Edward on February 6, 1842at Christ Church, Newcastle. After arrival the AACo workers and their families were immediately transhipped to Newcastle where they arrived on Christmas Day, 1841. 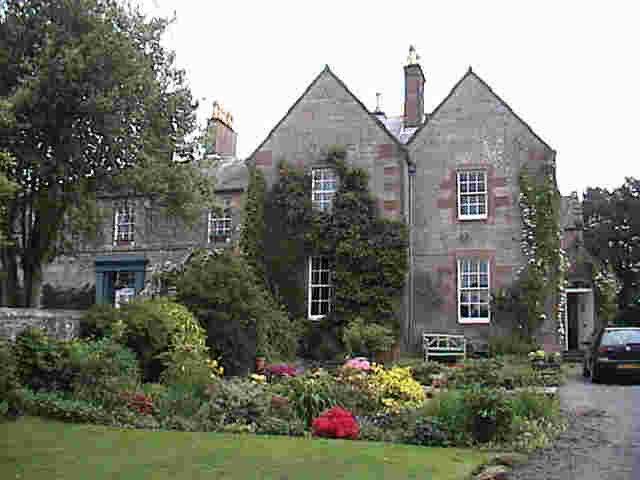 William and Annie moved into their quarters at Wickham, where they lived from 1841 to 1849. William rapidly set about improving his situation and although his occupation on his children's Baptism records is shown as "miner" after a short while he was managing one of the AACo collieries at Wickham. He also set about acquiring property. By 1844 William was showing himself to be a shrewd speculator in the acquisition of land not only was he a mine manager but by now he was also a mine owner. In the early 1850�s William had become interested in the Wollongong area, and in 1853 had taken over the management of Mt Keira Coal Mine, which had been operating on a limited scale since 1848, being one of the first mines in the Wollongong area. Although he was managing the Mt Keira mine, William and the family continued to live in East Maitland. By 1853 his family consisted of a daughter and three sons; a second daughter had died in 1851 aged two. It so happened that William with his wife and young family lived opposite the Elliotts in East Maitland where Thomas Wiseman had taken his wife and four children to live with her parents in 1849 when he left for California. William would have been well aware of the Wiseman family when she was widowed two years later and their paths would have crossed many times in the next two years before William's own wife died. Tragedy struck the family when Annie died on September 15, 1853. As with her birth, confusion surrounds her death. It is believed that an Ann ROBSON who was listed in the Parish Register entry in the district of Morpeth as aged 57 at the time of her death was Annie VEITCH but that an error had been made entering her age which should have been about 37; she was described as a "Colliers Wife". Other research states that she died on 16 January 1853 some 9 months earlier which I tend to believe as I would think that her husband would have been unlikely to re-marry after only four months. If she did die later rather than earlier, she was buried on September 17, 1853. As two single parents of similar backgrounds, both with young children and living in close proximity, it was hardly surprising that the William Robson and Margaret Wiseman should marry for their mutual benefit. This they did on January 7, 1854 at Maitland starting their married life with a total family of eight children; four surviving Robsons, Margaret, Matthew, William and Thomas and four Wisemans; William, Thomas, Margaret and Charles. They immediately set about producing the first of nine more that they would have together. The eighth of those children, their fourth daughter, was born 27 October 1864 and named Ellen; by now the family was living in Wollongong. At the age of 24 Ellen ROBSON married Charles Edward BROOME. Surprisingly little is documented on Ellen and Charles and how the two families managed to meet is not known. They were born within seven days of each other however Ellen was born and raised in Wollongong while Charles was born and raised in Newcastle; possibly there was a connection because of the Robson interests in the Hunter River area or even at the local government level as both their fathers were active in this area. A more likely catalyst would have been the Methodist Church in which both parents were staunch members and extremely active. Never-the-less meet they did and in 1888 they married. By this time Charles was a teacher in Hamilton. Ellen and Charles Edward were married December 20, 1888 at the Wesleyan Church, Wollongong. Although her family called her Ellen she did not like the name and on her wedding day signed herself �Eleanor� a name she adopted at least until the birth of her last child. Ellen and Charles had four children, two boys and two girls. Their first child was Stanley whose birth in 1889 was registered it Newcastle. Stan enlisted in the 12th Light Horse in the First World War and saw service at Gallipoli and in Palestine. Their next child was Dorothy who was born December 29, 1890 at Dungog. On this occasion Charles� occupation was noted as a farmer. He may well have decided to take a break from teaching at this time. �Aunt Do� as she was known never married; she was the source of much of the family history however it must be said that she was never above �gilding the lily� if it was thought that it would improve the social standing of the family. Geoffrey V E was the third child and was born in 1899 at Windsor. Geoffrey also joined the AIF in WW I and was serving on the Western Front at the end of hostilities. The last child was Kathleen Elliott, Rosemary�s mother who was born February 9, 1904 at Pitt St in the Sydney suburb of Rockdale; at this time Charles had forsaken farming and returned to teaching in the Public School system. He was probably teaching at Rockdale Public School of which he eventually became Headmaster.